BUYERS LOSS IS YOUR GAIN! LOVE TO ENTERTAIN? This is the home for you! Spectacular open concept Tri-Level home that features gorgeous cabinet packed granite kitchen/dining and living room combo offering hardwood, tray ceilings, gas fireplace and built ins. Looking for more than 4 bedrooms, how about 6? Not 1 but 31/2 baths. The Master Suite has gorgeous cathedral ceilings, palladium windows for lots of natural sunlight and bath with jacuzzi tub. How about relaxing on your maintenance free trek deck overlooking the beautifully manicured 1.15 level lot offering basketball court in summer months and ice rink in the winter months. How about relaxing in the part finished basement where you can play pool or simply observe the outdoor play from the slider which goes out to the backyard. Both home & yard are great for entertaining! 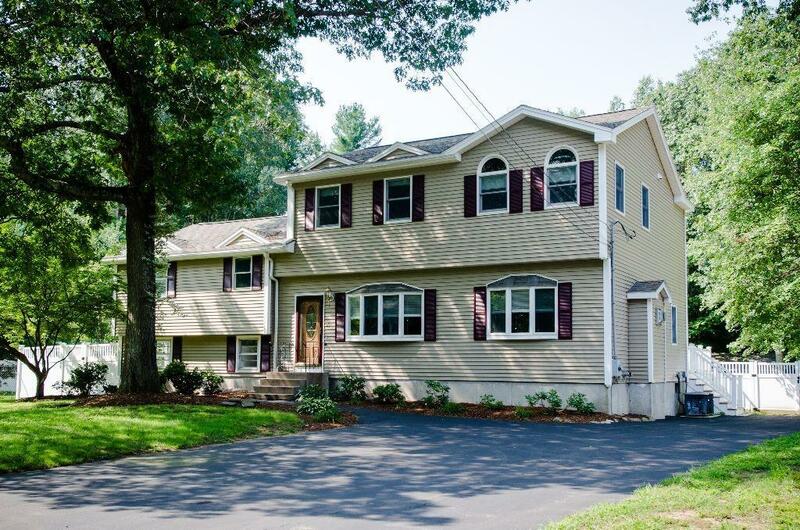 Minutes from the Burlington line, Billerica Country Club, shopping, highways & medical facility. Stay cool during Summer with the C/A. Awesome neighborhood!